The sardina have arrived in great numbers here in Asuncion. The pangeros are out in force wrapping them for lobster bait. I watched them unload at the ramp for a couple hours yesterday. Quite a sight. The pangas come in filled to the gunnels with sardines with 3 pangeros perched on top. No more than 3 or 4 inches of free board available. The big tractor pulls them on the beach and the crane unloads the big brailer nets into the blue boxes on the flatbed trucks. I watched them fill 10 of those boxes yesterday. The sardines are taken to the co-op and frozen into 40 or 50 lb blocks wrapped in plastic and delivered to the lobstermen in the morning. Not surprisingly the fishing the fishing has improved significantly with the arrival of the bait. By Asuncion standards my fishing has been actually quite poor since December. Mostly rat Yellowtail and when you catch a larger model, they have a 40 lb head on a 20 lb body. I he'd two skunk days in a row last week. This week is a different story. I was out on Wednesday and landed 11 yellows, 4 of which were the nicer variety. Do the pangas just dipnet bait? How do they collect the 'dines? Not totally sure. The delivery pangas have no nets so I think there are some seiner pangas that wrap them and offload onto the delivery boats. Do you know Miguel Arce Aguilar of Miguelito's Sport Fishing ? I fished with him a few years ago with a couple of guys from this site. We absolutely killed it. He and his family extended us great hospitality. I came home with an arm injury from pulling on yellowtail for 4 days straight. Crazy plug the boat - quad hook action. Sure, I know Miguel. I just spoke with him this morning as a matter of fact. Good guy and he puts a lot of people on a lot of fish. Rossman, your reports always put a smile on my face. Baja spots as I read your stories. crunching bones in my mouth. They were damn good. 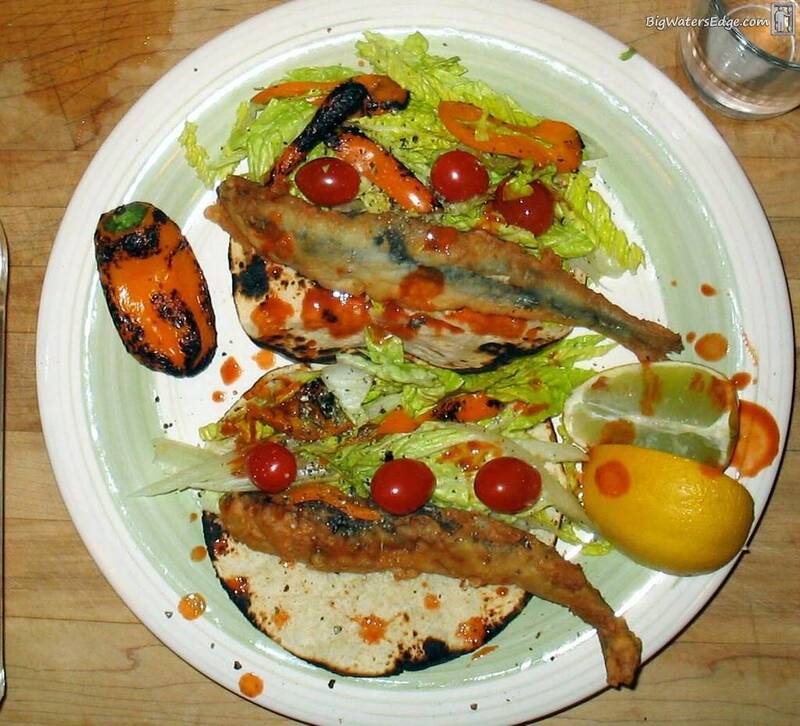 Fried whole sardines are some of my favorite fish to eat. Don't knock it till you try it. Looks delicious. Send a private message to Cruiser! Find More Posts by Cruiser! I would be extremely surprised to hear rossman is eating any pez frito entero.